There’s something about the combination of historic grand hotels and cocktail culture that absolutely enchants me. Judging from the crowd waiting to get into the seminar on great hotel cocktails last night at Tabard Inn, I’m not alone. Hosted by Philip Greene of the Museum of the American Cocktail, Better Drinking‘s Derek Brown, and Tabard’s own Chantal Tseng, it was a fascinating evening both informative and funny on the phenomenon of the American hotel cocktail. The three witty hosts mixed up drinks and dispensed history, from the Prohibition days of revolving bars and secret staircases, to the fabled round table of the Algonquin, to Hawaii’s pink palaces on the sea. We even got to shake up our own Ramos Gin Fizzes (the two minutes of vigorous shaking resulting in the beautiful meringue top of this delicate drink? 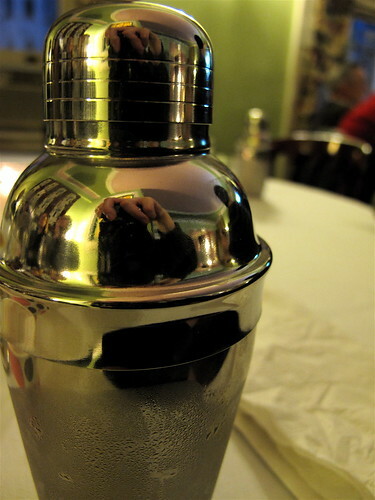 well worth the effort) while hearing about shady Huey Long bringing that glorious New Orleans cocktail to New York City as a PR stunt. It worked. 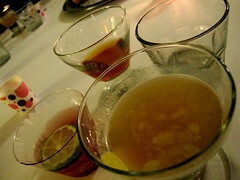 Cocktails sampled included the Hanky Panky (Savoy Hotel), Tequila Sunrise (Biltmore Hotel), Seelbach (Seelbach Hotel), Ramos Gin Fizz (Roosevelt Hotel), Algonquin (Algonquin Hotel), and Royal Hawaiian (Royal Hawaiian Hotel). Needless to say, in addition to learning about hotel cocktail history, guests got quite happily buzzed. The cocktail I was most surprised by was the oft-maligned Tequila Sunrise, resurrected here in its original state as a poolside drink of tequila (scared of tequila? choose 100% agave, always! ), creme de cassis, freshly squeezed lime, and soda water. That’s right, no orange juice. Prepared the proper way this is a refreshing drink perfect for sipping slowly by the pool (and whoever has a pool in DC, invite me and I’ll bring a tray of these). We were also lucky to have in the audience Jim Hewes of the Willard’s Round Robin bar, whose vast knowledge of DC drinking culture and its fascinating history the hosts called upon several times. Hearing him reminded me it’s just a month away from mint julep time, and you’ll get no finer example than one made from his hands. One of the themes that always comes through at every cocktail seminar I attend with folks from the DC Craft Bartenders Guild and the Museum of the American Cocktail is the importance of remembering the bartenders behind the drinks, such as Hanky Panky’s creator Ada Coleman, known as “Coley,” who created the cocktail at the Savoy Hotel by bravely adding the bitter taste of Fernet Branca. Or the Ramos Gin Fizz’s originator Henry C. Ramos, who employed lines of bartenders to shake the drink as the demand for it during Mardi Gras knew no bounds. 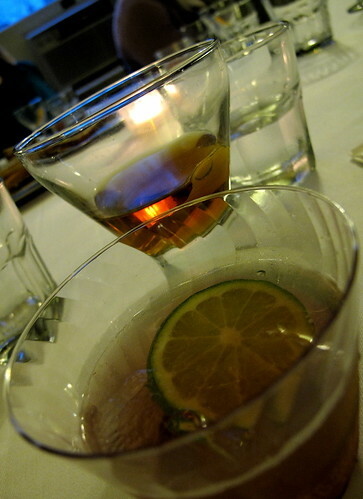 It’s learning historical facts like these, combined with tasting the cocktails and being connected instantly to that time and place, that makes these seminars so much fun. Next up in DC for the Museum of the American Cocktail is an evening with Dale DeGroff, “King Cocktail” himself, on May 9, followed by a presentation on Prohibition in DC on May 23 with Garrett Peck and Philip Greene. Judging from the packed house last night and talking to other guests, tickets go fast, so do yourself a favor and become a member of the Museum now! The event was indeed great fun. My wife and I were the couple immediately to your left. 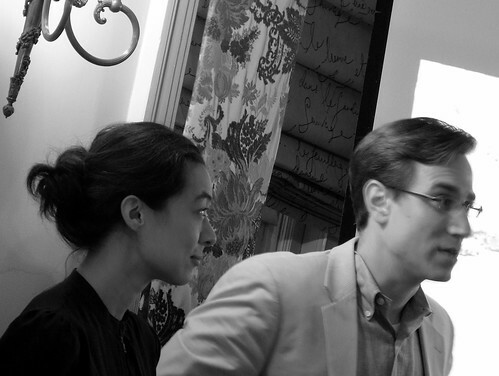 Nice photos, especially the black and white of Derek Brown and Chantal Tseng, the First Couple of Cocktailia. Hi J.D.! It was nice sitting next to you and thank you for the compliment on the photos. Testing out a new camera, so I am glad the results are well-received!